Notes: Developed by Mike Lawson in 1991. This pattern represents an emerging mayfly. Mike designed this primarily for Blue Wing Olives and Pale Morning Duns in the Yellowstone area. Like many patterns of the Yellowstone area, it has been found to be quite efective within our own Sierran streams. It is a shallow nymph presentation which should be presented only 1-2 inches below the surface. 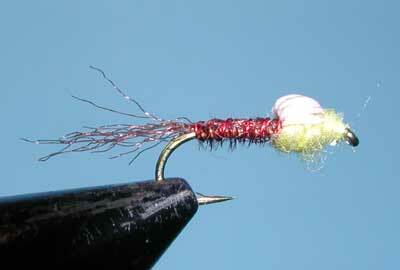 Some use indicators such as a dry fly with this pattern. However, the two-fly combination can influence an unnatural drift by producing drag. 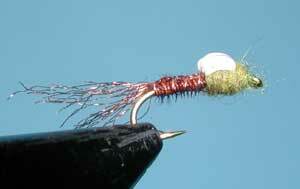 A better choice is to just use the nymph pattern and to take note by watching the line/leader junction for any unusual movement.